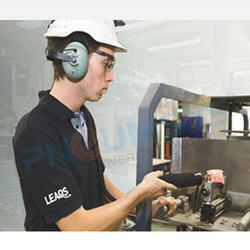 Compressed Air Energy Audit is one from our wide range of services. Energy Audit here includes a various check that will help you to understand how to gain a significant rise in production. Energy Audit is a quite broad term. It is not just limited to verification of a system for energy leakage. It is a process through which you can identify why your system is not performing well and show how to reach its maximum potentials. At Luthra Pneumsys, Ahmedabad you can find one of the best Energy Audit services. This included professional experience, skilled team and sophisticated equipment to track the problem. This does not mean it consumes a long time. We use the latest technology to do our work fast and accurately. We thoroughly analyze a system with its internal and external factors. This helps you to provide a more appropriate report on what is causing a system to perform low. For any business/industry production plays a major factor in growth. If an applied system or equipment is not performing well then it puts pressure over other factors affecting the overall output. To identify the problem and to find out how an applied system can perform well on the lowest energy used is our primary motive. This reduces cost and lets you increase more production. 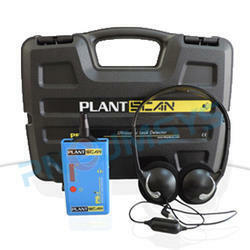 We are engaged in offering Ultrasonic Leak Detector to our clients. Our ultrasonic leak detector helps users to quickly find leakages in compressed air or vacuum systems. Any compressed air system can experience leaks, which amplify the load on compressors and increase costs. Our leak detector helps users to easily find leaks from a distance, even in noisy industrial environments, via its ultrasound measurement sensor. The built-in LED display assists the user in adjusting sensitivity and shows the measured ultrasound noise from leaking air, allowing the quantification of leaks and prioritization of repairs. Backed by skillful experts, we are proficient in rendering Air Compressor Energy Audit. These services are enormously appreciated in the market due to their timely completion. Our professionals render our offered service employing the advanced techniques. Offered services are rendered in varied forms and terms that meet on customer’s demand. 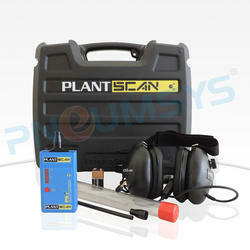 We are pioneer in providing Air Audit Services. If your company is facing any problem related to Air Leakage or any compressed air issue. Audio Output: 0Hz to 4kHz. Capable of detecting FREON (ALL types new and old) leaks equivalent to 3oz/yr. Is not affected by wind or high concentrations of leaked refrigerants in the test area. High quality Walkman style headset with volume control included. Luthra Pneumsys offers Energy Audit Service. Energy cost plays a vital role in many industries. For firms it is very helpful to carry Energy Audit on regular basis. This helps to reduce impact on the cost of operation. It is possible at some point a applied system or device is consuming too much power and also affecting other factors that result in slow production. Or a applied system / product can perform lot more better, but a component is causing leakage. Luthra Pneumsys has a team of skilled experts, who are well versed in using the latest technology, right products and minimum time to find answer. We use latest equipments so that without hampering much of your daily industrial process, we can offer cost effective suggestions. Our team is also capable of providing a comprehensive energy conversation report, through which huge savings is possible. Energy Audit can reveal that some system can do the same level of activity consuming more less energy. We have different methods applied under the service. This let to check a system in different ways and find more accurate results. Energy Audit is not just limited to preserving energy. There are many fundamental benefits of this service. Like you can get a detailed report on energy cost reduction, understanding different safety aspect for better production and methods to enhance the operation of machines/system. This also include pollution control and a regular maintenance practice that can help you to have more longer production life with lowest depreciation value. 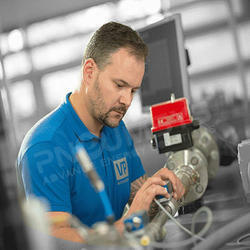 For example under a pneumatic system various components are applied. It is a huge system that rely on vital tiny components. A regular check or a regular Energy Audit helps clients to keep a close watch on the resource consumed by the system. Energy Audit can find flaws and arrange fixed in less time before it can cause high cost replacement. There are many factors that matters here and it can be done well through a panel of experts who have thorough understanding and knowledge. Energy Audit is just a start, with this we offer you guidelines for regular energy conservation. This is a practice that is needed to be followed. So that in long run a system or machinery can give you maximum production value at lowest maintenance cost. That is not possible without getting the most accurate Energy Audit. Do send your queries and a expert from our end will approach you for a thorough analysis. A complete Air audit includes a Total survey of important compressed air parameters, and the solutions that emerge from it. Using the logged information, a detailed report is compiled, including cost analysis, graphs and a list of recommendations for improving your systems performance. In short system. Measurements are taken using logging device with related software, based on these measurements a complete report is made to the customer proposing any potential energy saving or air quality improvements that can be made to the system.